Studies have shown that running product photos larger have increased website conversion rates. Everyone knows that the quality of your property photos makes a big difference. But, what about the size of the photos? 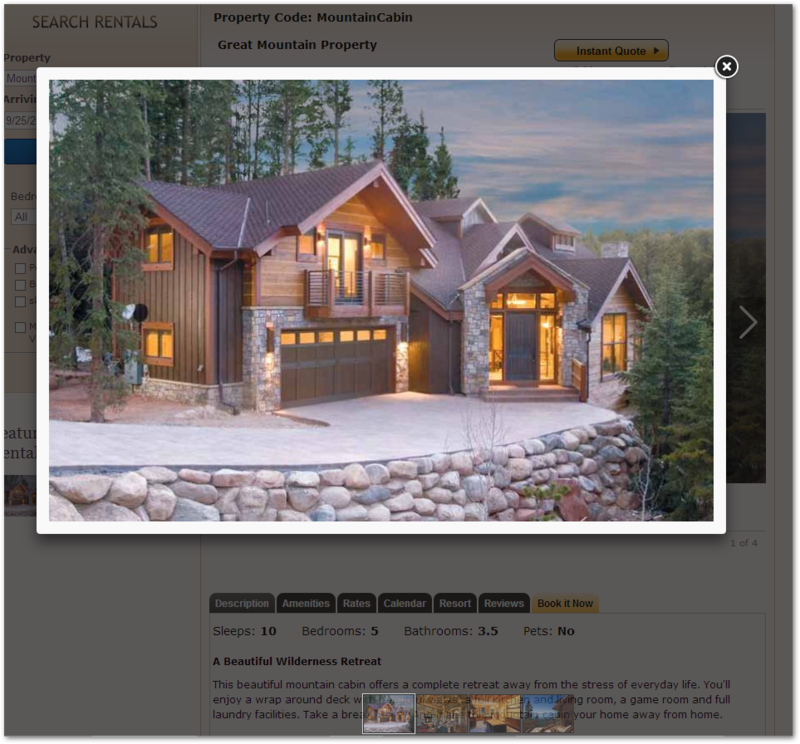 Did you know that increasing the size of your vacation rental photos on your website could potentially make a big difference in your bookings? For evidence, let’s take a look at two case studies, where businesses A/B tested increasing the size of their product images on their websites. Visual Website Optimizer shared the story of one of its clients, Mall.CZ, an eCommerce retailer of a variety of products. Using the Visual Website Optimizer, this client A/B tested adding larger product photos to their website. The result? The tests showed with a 96% degree of confidence that switching to the larger photos would increase Mall.CZ’s overall sales by more than 9%. Not a bad gain, considering the change cost them relatively nothing. Econsultancy, a digital marketing publication, shared the story of Skinner Auctions, the company behind Antiques Roadshow. The company A/B tested increasing their product image size by 28%, from 250 pixels wide to 350 pixels wide. The result? The larger images drove 63% more visitors to start the bidding process. And, 329% more visitors completed all the forms necessary to make a bid. Both of the companies in these case studies saw dramatic increases in their website conversion rates from just increasing the size of the product photos on their websites. And, while this data is not straight from the vacation rental industry, it’s worth paying attention to. Really, your property photos are your product images, so increasing the size of these photos could very likely have a similar effect. Lighting – Make sure your images are well lit. Light is one of the most important ingredients in making a good photo. Framing – Make sure you frame your images correctly. Take your images from angles that really showcase what your property has to offer. When guests look at your photos, they are making buying decisions. Image Quality – Make sure you or the professional you hire uses a large format digital camera to take the images. Generally speaking, a better camera will take higher quality images. Avoid using point and shoot cameras and cell phone cameras. Resolution – At a minimum, make sure you upload your photos at the largest resolution they can be displayed on your website. For example, if the largest slideshow on your property page displays at 800 pixels wide, make sure the photo you upload is at least 800 pixels wide. Good vacation rental software programs (and good web designers) will re-size your image to fit the slideshow, but they need the original uploaded file to be high quality. On the other hand, especially if you building your own website, don’t post photos that are too large (file size) since it may affect your site’s load times. Again, a good software program will re-size your photos and optimize the DPI for the web to ensure they display properly and aren’t so large they’ll slow down your load times. For a great discussion on the value of professional photography, check out the experiment that Matt Landau of the Vacation Rental Marketing Blog conducted, pitting his own photos against a professional. Can you guess which photos helped him get more bookings? Click here to see the article. LiveRez already provides its partners with some of the largest image displays in the industry. But recently, the company went even farther, giving partners the option of new property page layouts that feature even larger images. If you’d like to learn more about these property layouts, contact Juston Clarkston at (208) 639-6121 or email J.Clarkston@LiveRez.com.